Can I use the German sixth chord to modulate up a half step? For example, the Ger6/5 chord in C major is: Ab-C-Eb-F#, which is enharmonically equivalent to G#-B#-D#-F#, i.e. the dominant chord of C# major. All of these answers are correct, but I thought it would be helpful to the OP (and hopefully future readers) to give some clear examples. The above example is just a clear use of a German augmented sixth in C minor. The Ger+6 is on beat three of the first measure, and it proceeds to a V on beat 4 and then to tonic in the next measure. (For the sake of simplicity I'm ignoring the parallel perfect fifths between beats 3 and 4.) Hear this example. This example shows how one can use the Ger+6 to modulate up a half step. (We can also say it "modulates to the Neapolitan," because the Neapolitan is the lowered second scale degree, which is just a half step above tonic.) 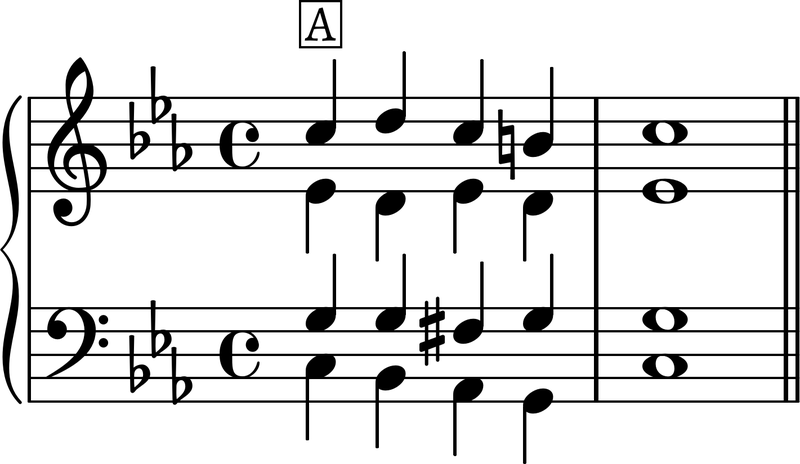 Notice that beat 3 of this first measure is the exact same chord as it was in the first example. On beat 3 here, we have another Ger+6 in C minor. But on beat 4, I respell the F♯ to show that it is enharmonic to G♭. Because of this, beat 4 is suddenly a V7 in the key of D♭, which is where it resolves in the next measure. The key point here is that a Ger+6 sounds just like a V7, but they aren't spelled the same. Hear this example. To take this one step further, this example is now in D♭. It's just a basic D♭ progression with a V7 on beat 3 of the first measure. (You'll notice that beat 3 is exactly the same in each of these examples.) Hear this example. We've shown that the Ger+6 and a V7 sound the same, and we've used that to turn a Ger+6 into a V7 of another key. But why not turn a V7 into a Ger+6 of another key? That's what I show in this example. On beat 3 of the first measure, I write a V7 in D♭. But notice that I use F♯ and not G♭, because now I'm using the V7 in D♭ as a Ger+6 in C. Beat 4 is then a V7 in C, and I return to C in the final measure. Hear this example. Lastly, you may also be interested in checking out "Punning chord"
Hippie answer: You can do whatever you want. Constructive answer: Yes, this is a good way to modulate up a half step. Yes, the German Augmented 6th in C is a re-spelt Ab7, which will naturally lead to Db. Some might say a little TOO naturally - but then, 'up a semitone' is the ultimate cliché modulation, so why not revel in it! A German Augmented 6th sounds like a dominant, but the entire reason for the goofy spelling is to change the function / voice-leading of the chord. Gr+6 typically function as pre-dominants, so as long as you make it a pre-dominant for your secondary-dominant or secondary leading-tone chord, then you’re good to go for modulations. Whether one of these chords is a "pre-dominant" or "dominant" depends on usage. If the tones comprising the outer interval (the augmented sixth or dominant seventh enharmonic) each move outward by a half-step, the chord is being resolved as a dominant sixth. 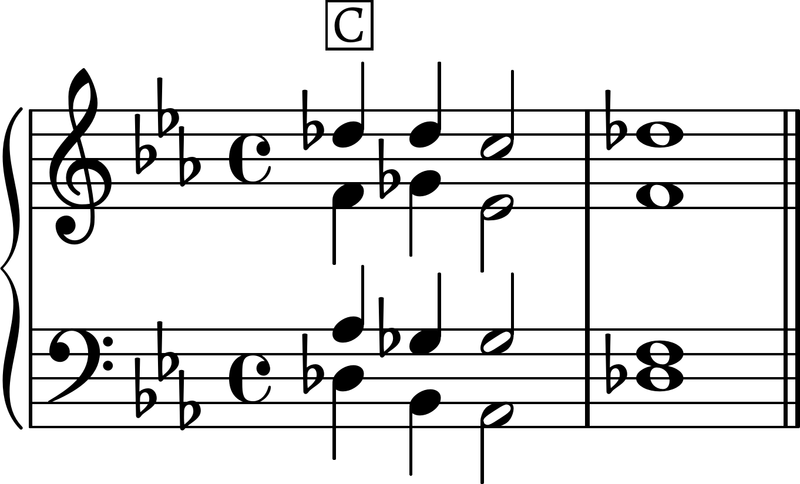 For example, the chord Ab-C-Eb-F# resolves to G-C-E-G and then to G-B-D-G (or G-B-D-F), the first chord is acting as an augmented sixth. 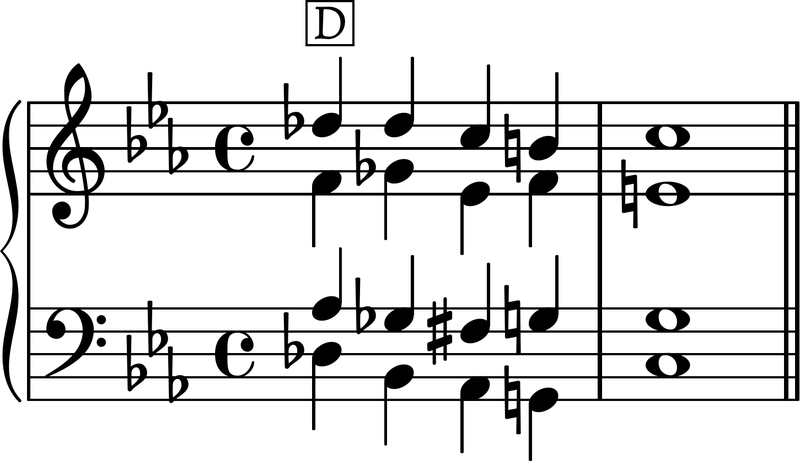 The German Sixth acts a pre-dominant moving to the dominant through another pre-dominant the C64. 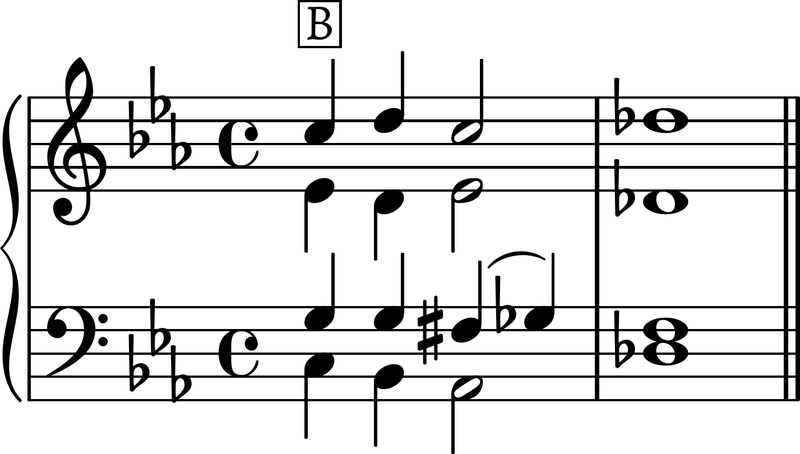 If the chord is notated (or could be thought of as being notated) as Ab-C-Eb-Gb and the Ab moves to Db with the Gb dropping down to F, and other intervals moving to notes of the Db chord (being careful to avoid parallel, etc.) the German Sixth is behaving (and is notated) as an ordinary dominant. In both cases, the tritone resolves correctly as either an augmented fourth or a diminished fifth (outwardly and inwardly respectively.) Enharmonically speaking, the German Sixth is the dominant of the Neapolitan Sixth. While the above operations are not symmetric, they are reversible. With proper voice leading into the German Sixth (or dominant seventh), either is useful. The main difference in the interpretations is that in the German Sixth, the lowest and highest notes each expand by a half step; in the dominant seventh, the highest note moves up and the lowest note moves up a fourth or down a fifth. Not the answer you're looking for? Browse other questions tagged harmony modulation or ask your own question. When to use the term transposed instead of modulation?